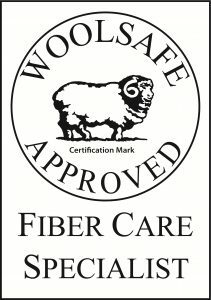 This is the course you must successfully complete if you wish to apply to become a *WoolSafe Approved Service Provider in North America. This on-line course was developed and made available to learn more about cleaning and maintenance. Originally this course was taught in a face-to face format as they do in the UK and Australia , but obviously we here in North America have a challenge with distance, so we created the on-line course. The purpose of this course is to provide carpet cleaners with a convenient means for updating their knowledge on wool carpet cleaning and spotting. This on-line course is intended to supplement other training received such as the IICRC-approved Carpet Cleaning Technician (CCT), Upholstery Cleaning Technician (UFT), Rug Cleaning Technician (RCT) certification or other similar courses. This on-line course is divided into 35 sections or modules. It is based on current information from numerous WoolSafe documents, the Institute of Inspection, Cleaning and Restoration Certification’s IICRC S300 Standard and Reference Guide for Professional Upholstery Cleaning, the IICRC S100 Standard and Reference Guide for Professional Carpet Cleaning and books written by Dr. Eric Brown and Jeff Bishop. Each module is followed by a self-evaluation in the form of multiple-choice questions, which are based on the information presented in the current module. Simply read the question and select the correct answer from the options provided. There is only one correct answer to each question. Students should read the information presented in each Module carefully. Then, they should answer the multiple-choice questions at the end of each Module to test information retention. The question will be graded electronically for immediate feedback. *subject to payment of registration and network membership fee.